Hello again, here's a quickie ...no not that. 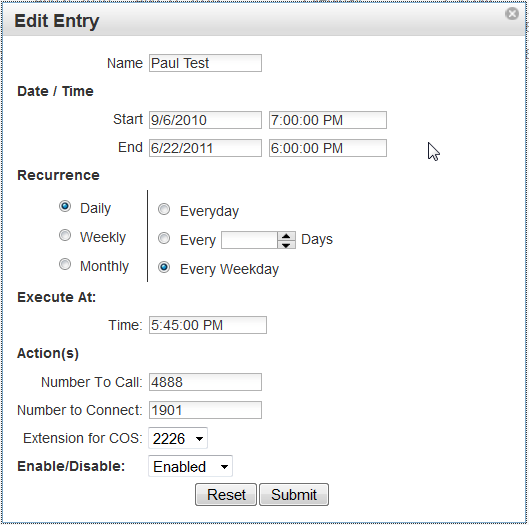 Scheduled Alerts feature: PBX Setup / Services / Scheduled Calling (all the way at the bottom). NOTE: This feature requires a license. 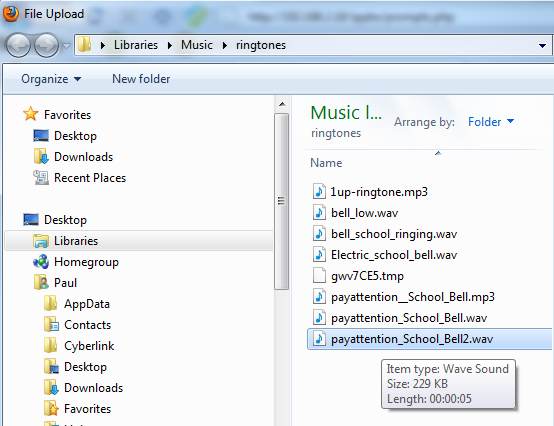 First download the file to your PC. Now load the file to the IPitomy PBX. Find it and double click it or highlight it and then click Open ...whatever you usually do. Don't forget the Save Changes button! Now Go to Destinations/Menus/Edit Menu and make a menu that will be used to combine the file that you just uploaded with a Multicast Page "Zone". You must assign a number to this menu since that is how it will be addressed in the schedule function. Either click Add Group or select from those existing. 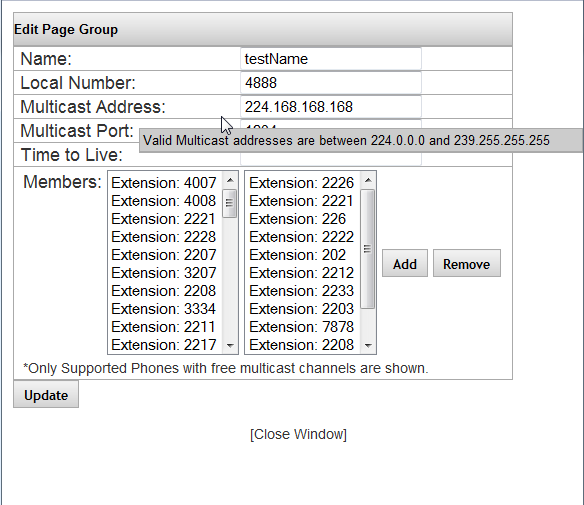 Now select the extensions that should be part of this Multicast Page Group and Click Add. The Manage Calling Schedule window will open. Either Click "Add" or select an existing Schedule (as is the case in the picture - I am selecting my previously added schedule named Paul Test. Recurrence... obviously helpful for repeat operations. PRESS APPLY CHANGES!!! This should complete the setup and begin operating during the period of dates you programmed...!